Your protagonist must have a home. A home to leave to go adventuring, or a home to return to. Perhaps he has no home, but is searching for it or it is forever lost to him. It is part of his background story. Even if you never describe it, you should know where it is, or was. 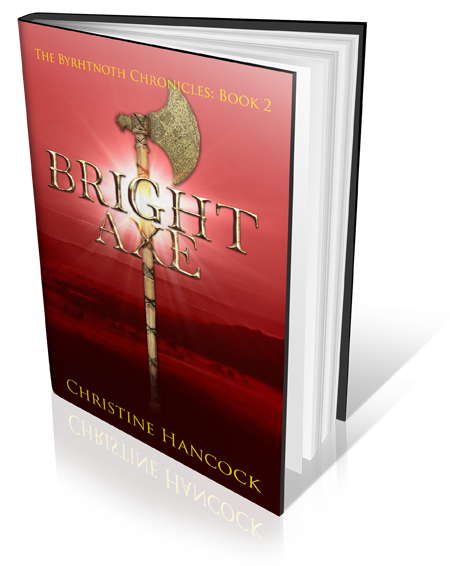 When I started writing about Byrhtnoth, I tried to find out where he came from. There seemed to be no information. There are suggestions that his ancestors were from Mercia. Politically he was linked to Athelstan, Aeldorman of East Anglia. There was another person of the same name, living around the same time, he was Bishop of Ely from 970 to 996. Byrhtnoth was a patron of Ely Abbey, giving it many villages, mostly in that area. He was buried at Ely after his death at the Battle of Maldon. It seems reasonable to assume that his original home was in the area. I pored over maps and selected a particular village, on the edge of the Fens (The fenland is that mysterious area around the Wash, on the junction of the counties of Norfolk, Suffolk, Cambridgeshire, Huntingdonshire and Lincolnshire.) At the time we were travelling regularly along the A14. One day we made a diversion and drove through the village; we looked at the church, walked a bit. It would do as a base on which to build Byrhtnoth’s village. My made up village probably bears no resemblance to the original, it has changed due to the vagaries of plot. I have never managed to find a name for it, it is just “The Village”. 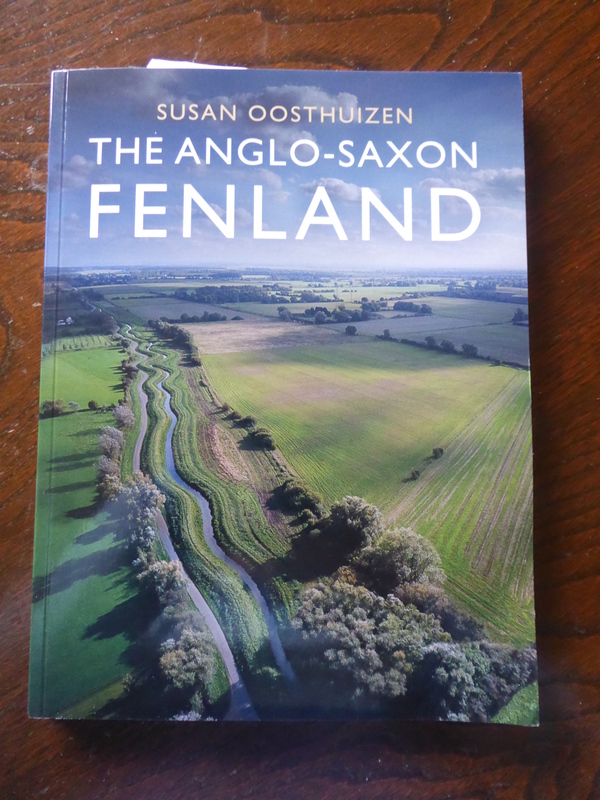 Earlier this year a book was published, The Anglo-Saxon Fenland by Susan Oosthuizen (details here) and I thought I’d better read it. What if I found I had written some detail that was incorrect? I don’t think I have, but I now have lots of facts to sprinkle lightly into the descriptions. The book first poses the question: “When did the Anglo-Saxons arrive in the fenland?” The area was extensively farmed in the Roman period; what happened when thy left? Did the native Britons abandon the area, leave an empty space into which the Anglo-Saxons moved. The answer seems to be no. A detailed study of place names suggests that locals and invaders (if such they were) mingled, continuing to farm the area. If the area had been abandoned, the landscape would have changed, dry land would have appeared and trees. It is an area that looks empty, but in fact it has been carefully managed, probably for millennia. I learnt about the different soils and how the height of water affects the grasses and other plants. It is a rich area, but only if eternal vigilance is maintained. Everyone had to work together. Many of the grazing animals, cattle in one area, sheep in another were regularly moved, to make use of type and height of grass. Areas were left to regrow, pregnant beasts and young got the best grass in spring etc. The important thing was, that all this was done in common. Everyone would have to get together to agree what was to be done when. Groups of vills (parish, manor etc.) were bound together, all utilising the same fen; the next group, another fen, which might be quite a distance away. So, everybody, lord, peasant, anyone who owned land in a particular area, had a say in what was done – democracy of a sort. There is a lot more in the book; about the way the water was directed to where it was needed. That flooding was important. If the land didn’t flood it reduced the amount of rich silt, to grow the grass. Only lack of flooding caused a problem. I could go on, the book was fascinating. I learned a lot. I hope it will improve my writing – I certainly need to find out more about dairy farming in the tenth century. There must be another reference book about that somewhere. Too late to put it on my Christmas list? I found it difficult to write this week, I kept being called away to go and buy a tree, make decisions about decorations, when to buy a turkey, etc. I put my blinkers on and manged 6,294 words this week – I was surprised. I don’t expect I’ll do much in the next week, perhaps the week after! I have planned some special blog posts over Christmas, so keep a lookout for them. Happy Christmas and wes þú hál if I don’t see you before. ← Christmas is coming – three times over.